PHD in Economics, University of Nice Sophia Antipolis, 2008. 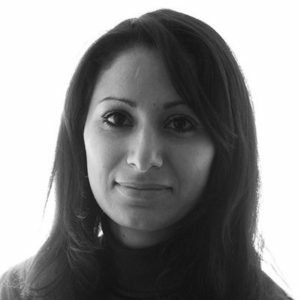 She began working as research engineer at Orange Labs Sophia Antipolis where she prepared her doctoral dissertation about digital policy innovation diffusion in French local governments. Then, she was associate Professor in Economics and Management at University of Lorraine and researcher at the Bureau for Economic Theory and Applications -Nancy where she conducted researches on digital innovation in local governments’ systems and on industrial strategies related to the birth of smart cities. She was Head of “Economics Organisations Business” Department of Mines Nancy which is one of the French generalist engineering Grandes Ecoles. Since 2013, she is Associate Professor in Economics and Management at University of Nice Sophia Antipolis and researcher at the Economics, Management and Law research Group (GREDEG). She conducts researches on knowledge management in open business ecosystems of smart innovations and on adoption of smart and digital innovations. Her general research fields are: innovation economics and management, management of information systems and knowledge management.